Beijing 2022 has welcomed the International Paralympic Committee’s confirmation of the sports programme and athlete quotas for the nextBeijing 2022 Paralympic Winter Games, which could be the largest ever and see equal numbers of men’s and women’s medal events for the first time. 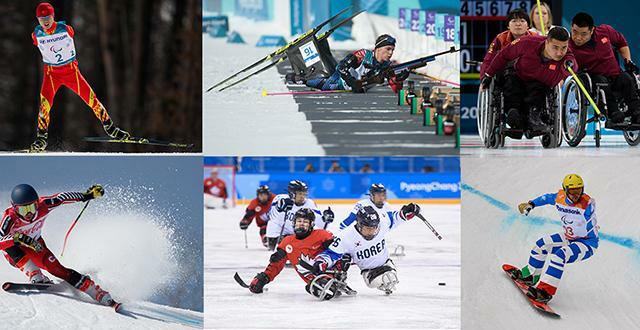 Beijing 2022 Paralympic Winter Games will feature a maximum of 748 Para athletes and up to 82 medal events - two more than the PyeongChang 2018 Paralympic Winter Games. It is expected to have 39 medal events for men, up to 39 events for women (pending a decision on the snowboard programme), and four mixed events. There will be up to 234 slots available for women. If all slots are taken, it will represent a 76 per cent increase from the 133 women who competed in PyeongChang. The IPC made the announcement following its Governing Board’s approval of the medal event programme and athlete quotas at a meeting in London on 25 January 2019. “With the majority of events now confirmed, Para athletes can begin to really look forward to what will be spectacular Games in China,” Parsons said. Beijing 2022 fully supports the IPC decision to add two new medal events and significantly increase female participation in the Games, which reflects the healthy growth of the Paralympic Movement. “The added medal events will not require additional venues but will maximise the use of the venues already planned, in line with Beijing 2022’s commitment to a sustainable Games,” said Yang Jinkui, General Director of Beijing 2022’s Paralympic Games Integration Department. “With the new medal events and updated athlete quotas, Para athletes will have more opportunities to build friendship and inspire the world with sporting excellence in Beijing,” Yang said. Confirming the medal events and athlete quotas is a major milestone in the lead-up to the Games. Beijing 2022 will earnestly carry out work in all aspects of Games preparations according to the needs of the final sports programme and athlete quotas, and strive to deliver a truly fantastic Paralympic Winter Games.